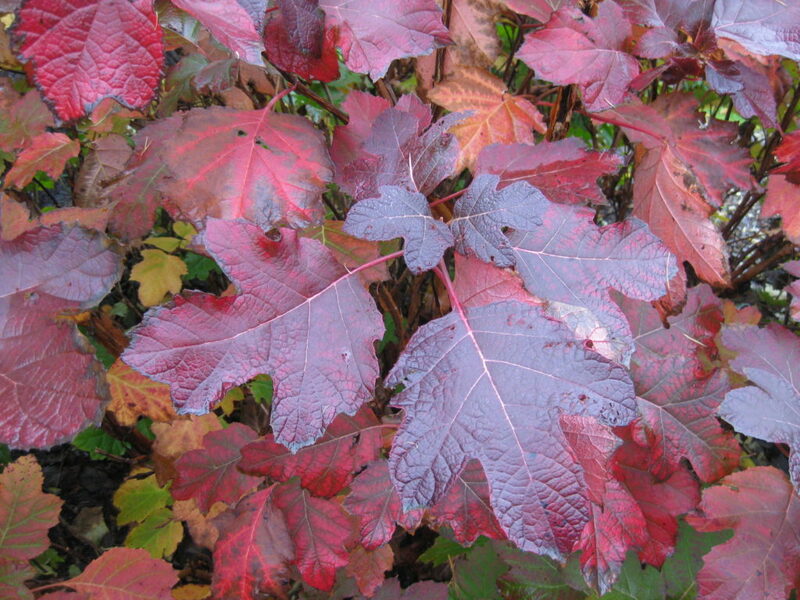 The oakleaf hydrangea (Hydrangea quercifolia) is an excellent woody plant for year-round interest. 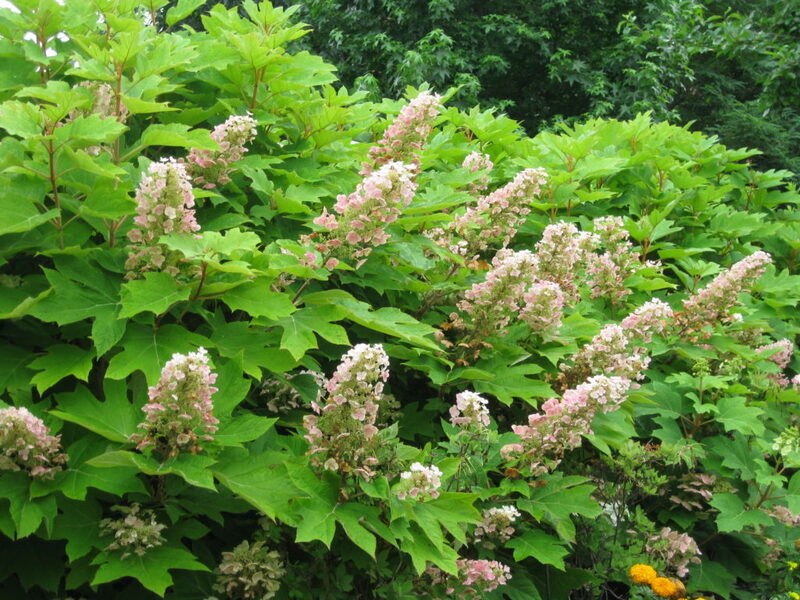 The photos in this blog (all taken by me) help highlight many of the excellent features of this North American native shrub (woodland habitats in the Southeast U.S.). 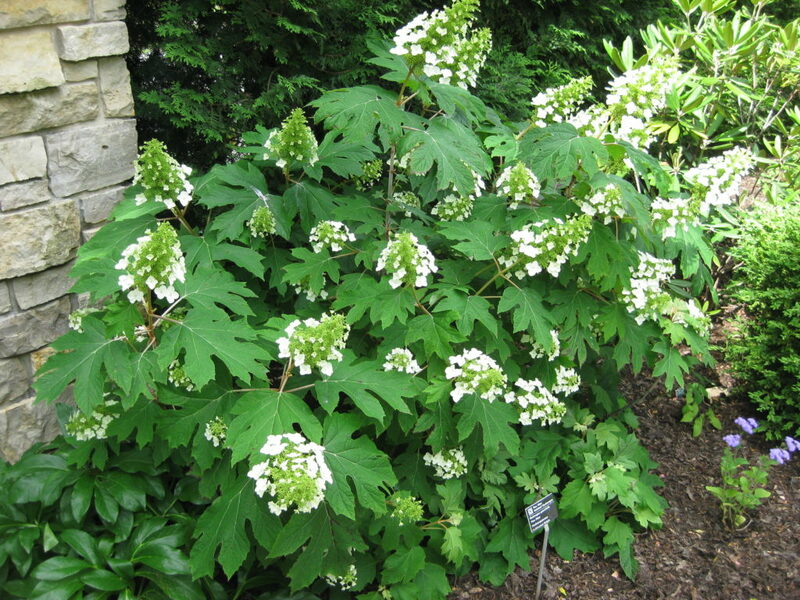 Hardy to Zone 5, this shrub has established well at RBG although it will struggle and/or have severe winter damage in colder climates. 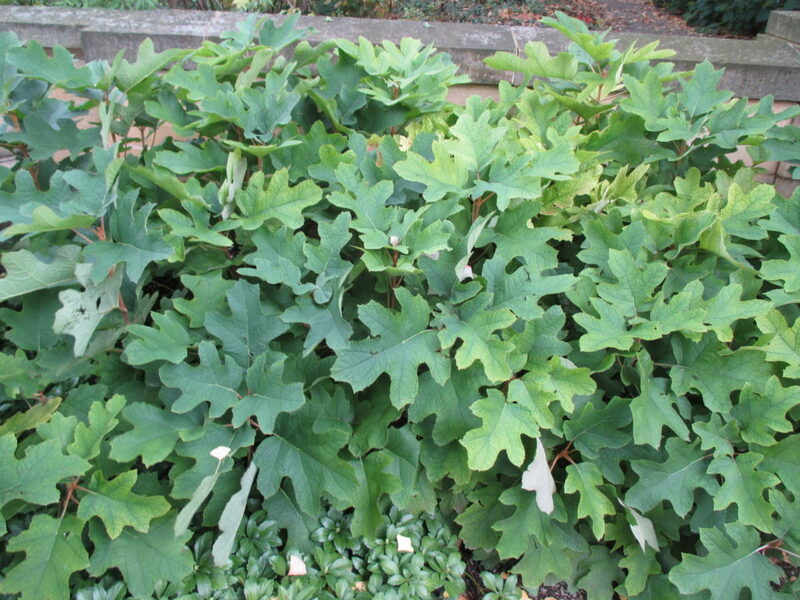 In our worst of recent winters (2012), we saw severe “dieback” but our specimens bounced right back with new growth. 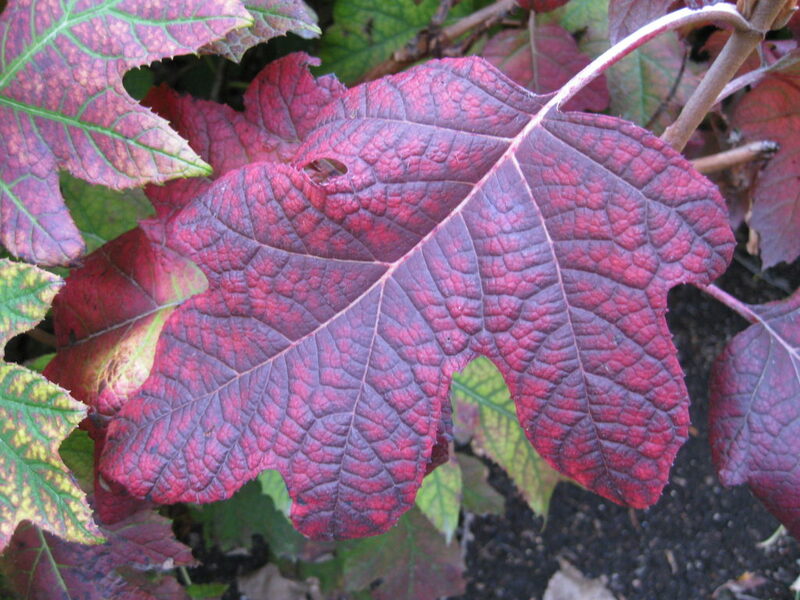 Preferring moist, well-drained, rich soils, oakleaf hydrangea will tolerate full sun or part shade. 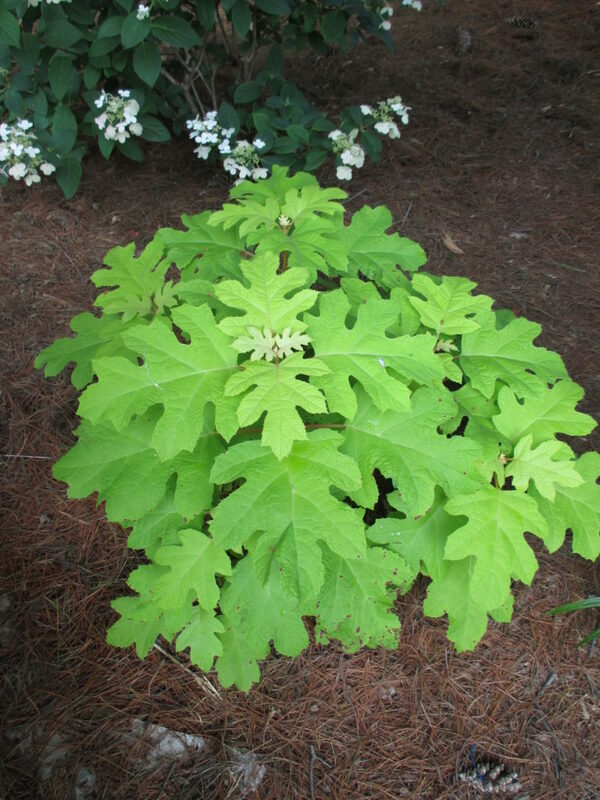 The leaves actually are larger in more shade but moisture is imperative for the success of this plant regardless of solar exposure. 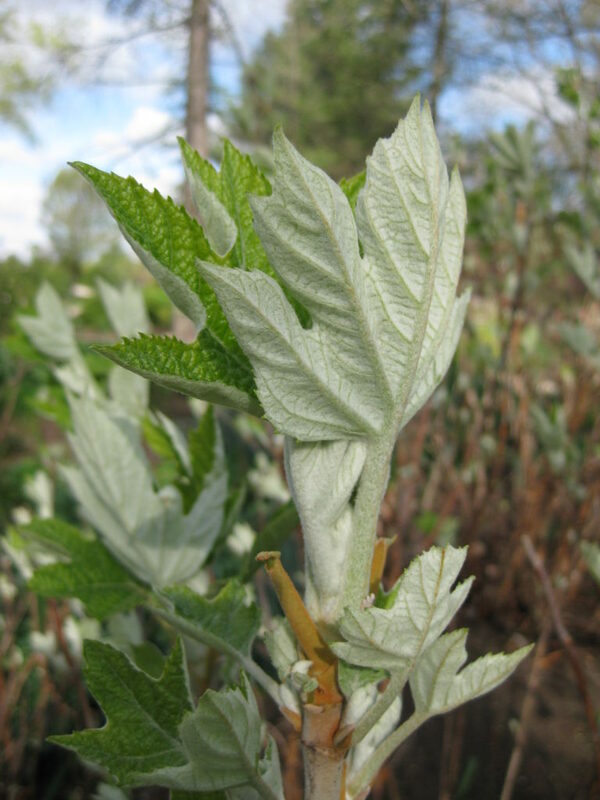 Emerging foliage features a fuzzy silver underside to the leaves (see further below). 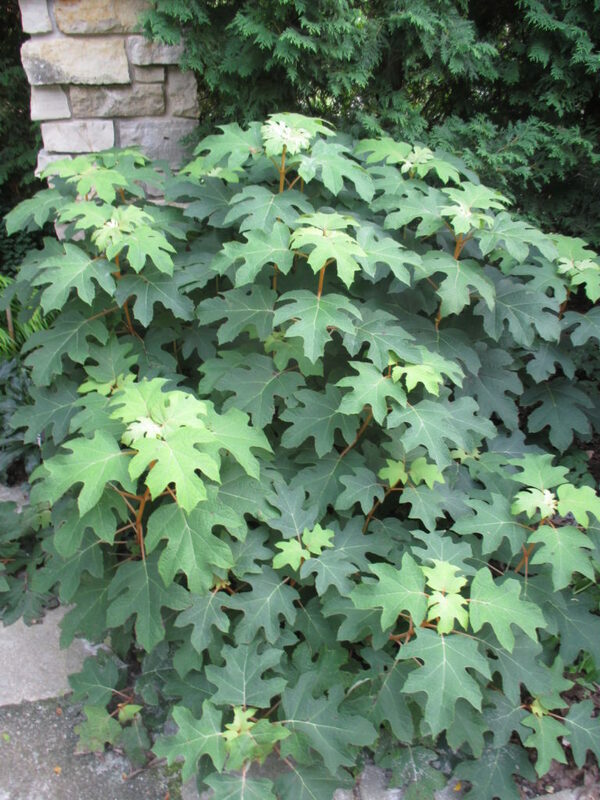 The large, bold, lobed leaves (very “oak-like” in appearance) are a textural asset for this slowly thicketing shrub that will typically reach 5′-6′ tall in our climate although it can get quite a bit larger further south. 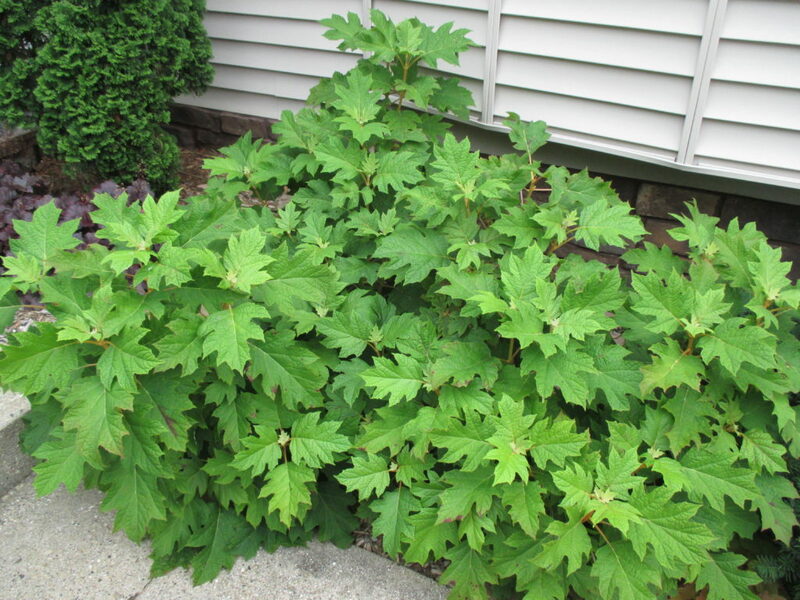 This shrub continues to spread slowly and will ultimately be wider than tall. The photo directly above is a good-sized specimen up at Olbrich Botanical Garden (Madison, WI). 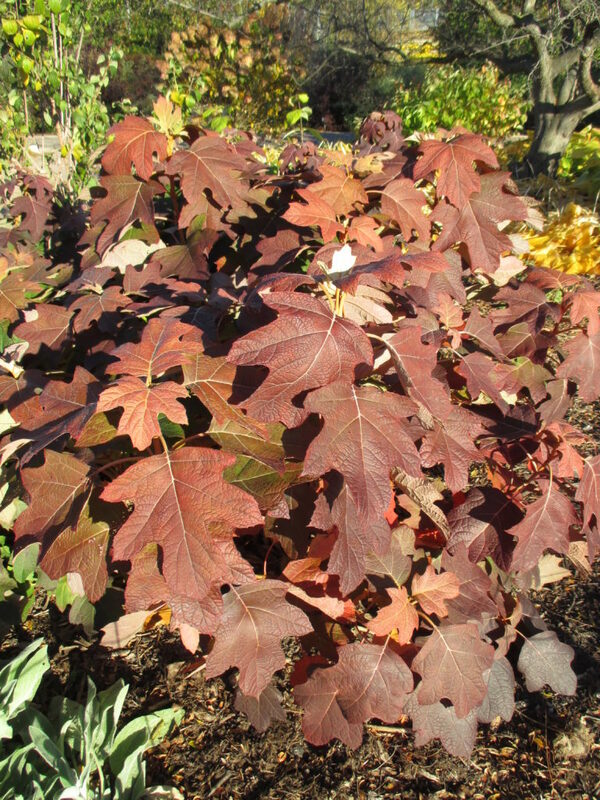 The fall color of oakleaf hydrangea, while variable, is consistently excellent and typically materializes over a long period of time in mid October and in to November. 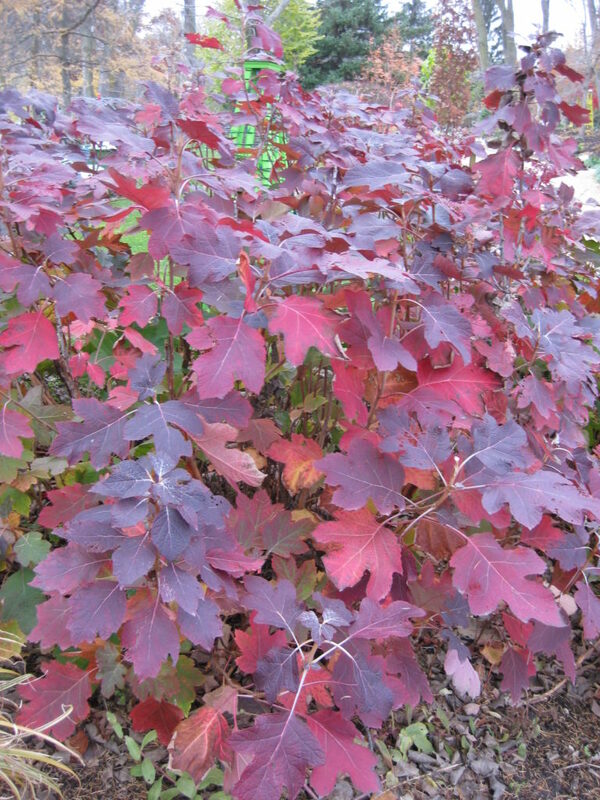 Some of my best photographs of peak fall color for this plant have been in November when the strongest reds and maroons are evident (see below). 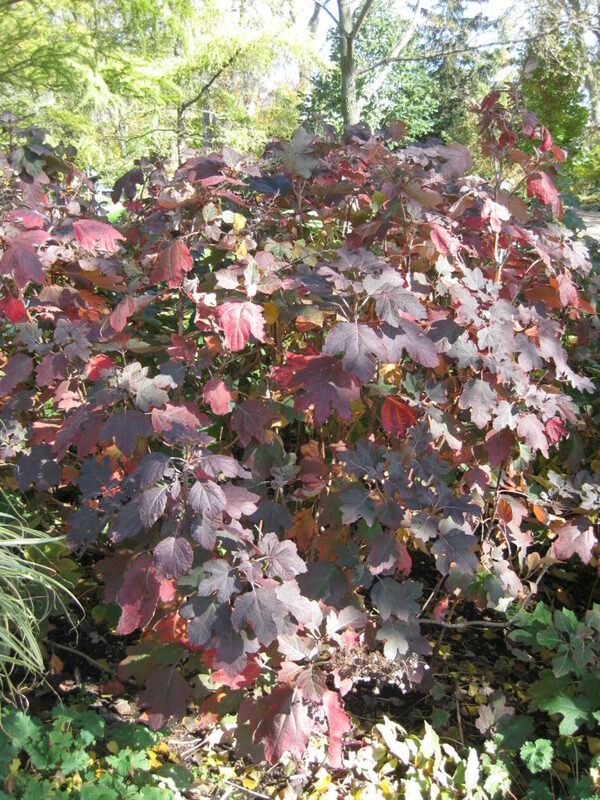 The stems of this shrub are also ornamental in winter and feature peeling and flaking bark in tones of cinnamon, tan and orange. 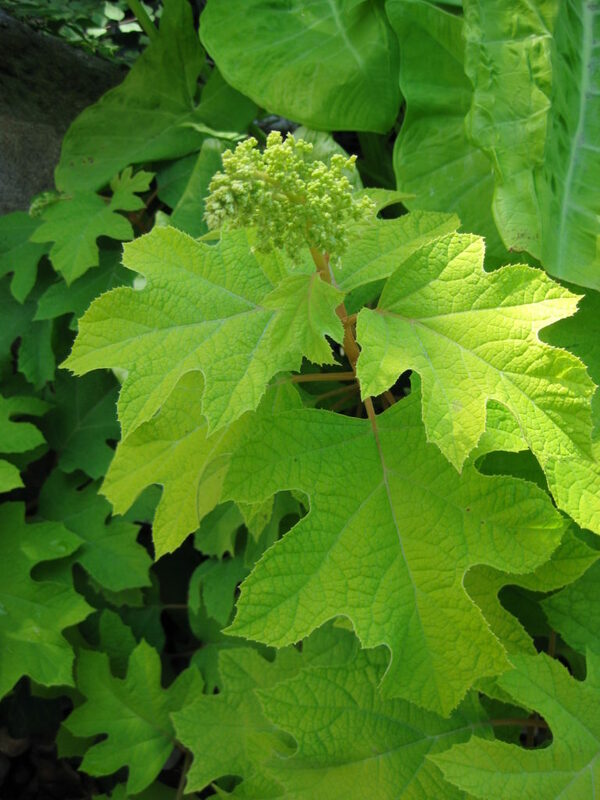 Flowers emerge in late spring and extend in to early summer. 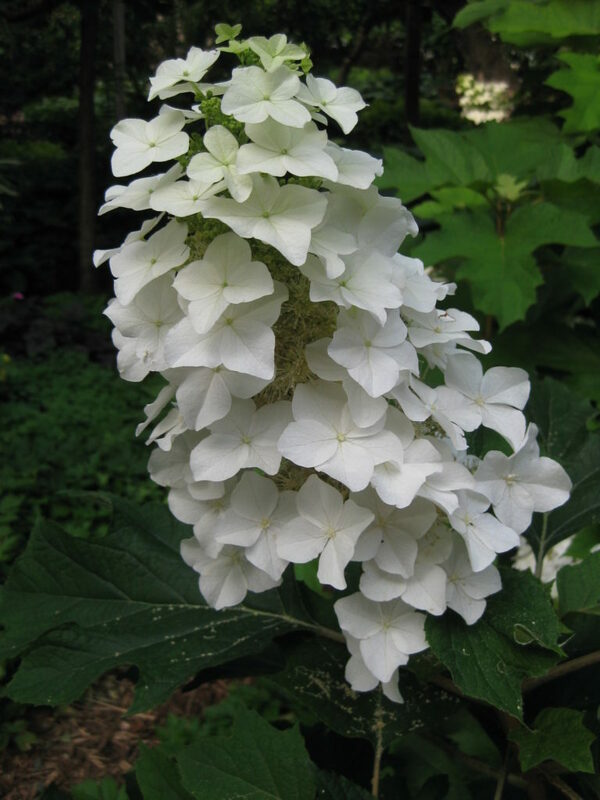 These upright flower panicles may vary in length by variety but emerge pure white and age with hints of pink. The flowers are quite nice in the winter as well. 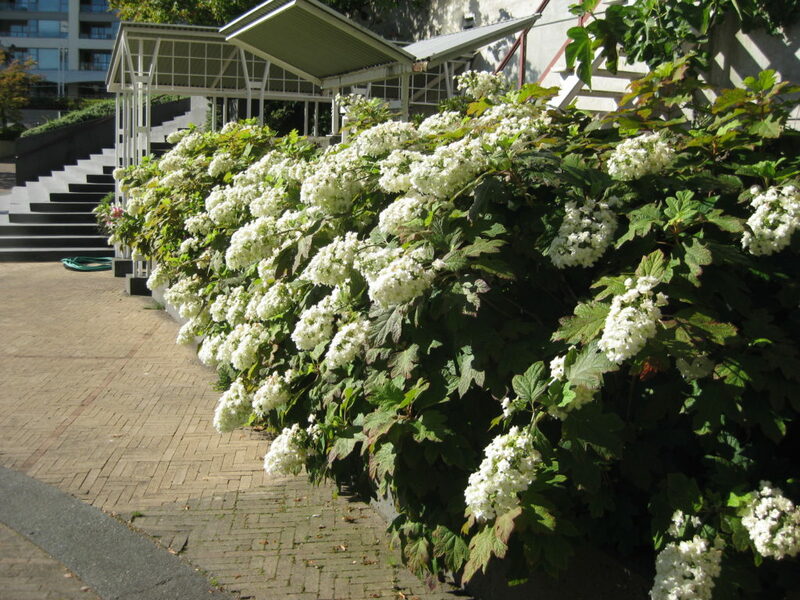 These hydrangeas bloom on old wood so after severe winters for us…we’ve seen them not bloom certain years. 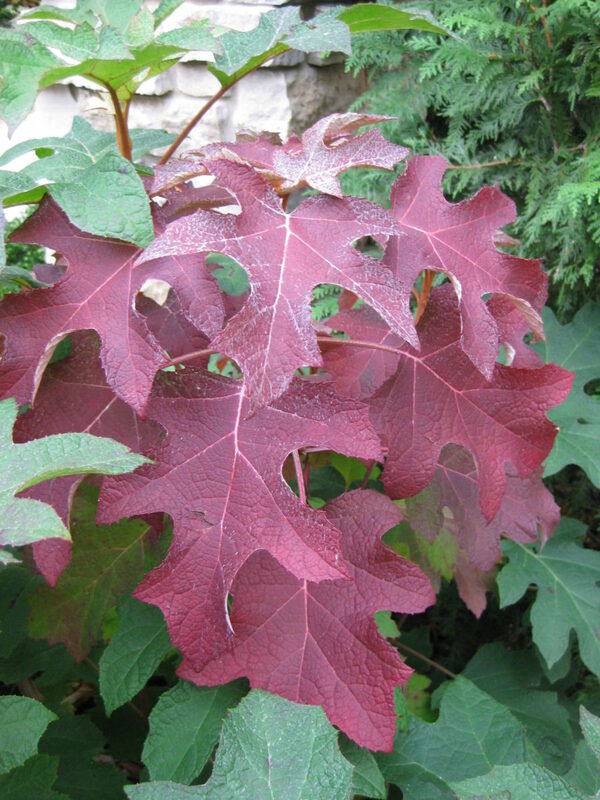 That is something we have to accept in this climate as the foliage still carries significant ornamental value. We have four large groupings of the variety ‘Snow Queen’ which is quite hardy and was the standard for many years and continues to be popular and available. 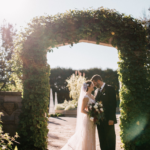 However, there are many newer selections out on the market. Popular varieties include ‘Alice’, ‘Allison’, ‘Harmony’, ‘Snowflake’ and ‘Ruby Slippers’ (lots of pink in the flowers of this one!). I’m also a big fan of the more compact varieties of ‘Sike’s Dwarf’ (2′-3′ tall), ‘Munchkin’ (4′ tall) and ‘Pee Wee’ (3′-4′ tall). 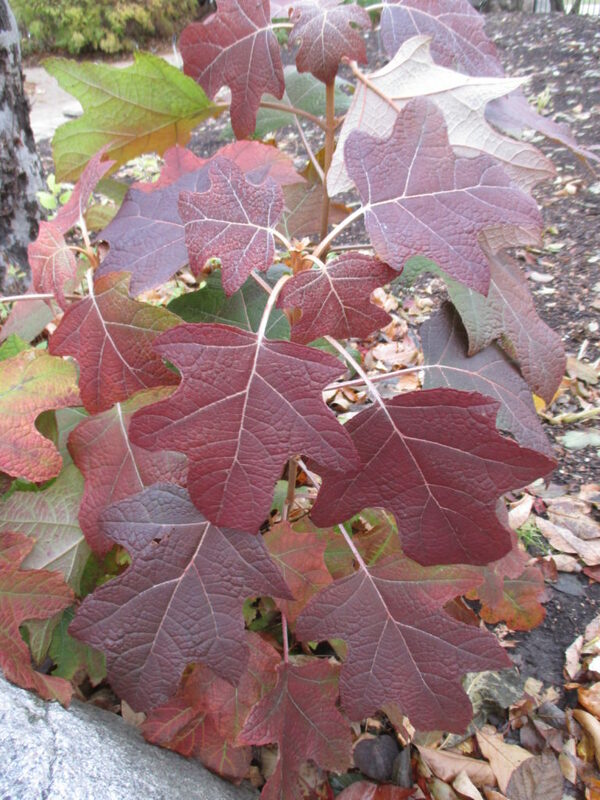 The bold foliage, excellent fall color, blooms and visual texture in the garden makes oakleaf hydrangea (Hydrangea quercifolia) worthy of consideration in our landscapes! 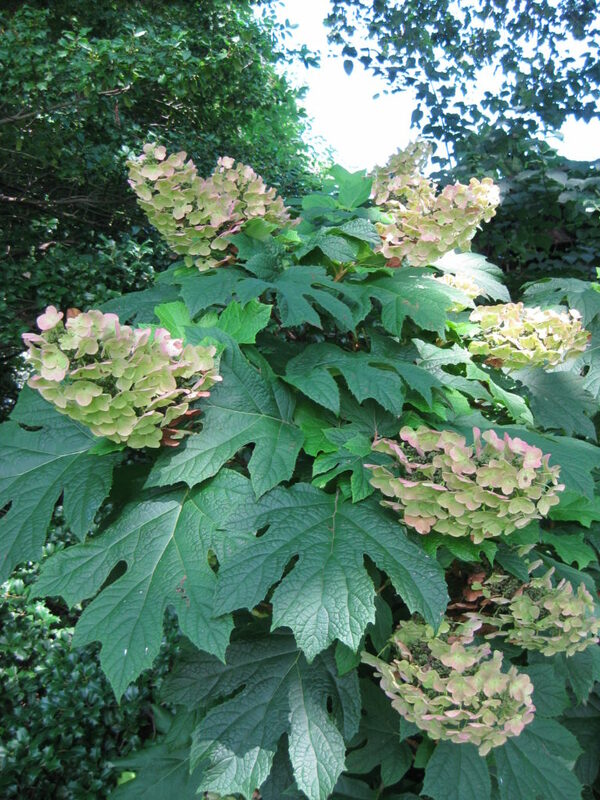 I LOVE watching the foliage and fuzzy leaf backings in spring!